Austin is the capital in the state of Texas. This beautiful city features an amazing selection of rental villas, condo rentals and vacation homes direct by owner at great values. Austin is gorgeous land with beautiful hills, valleys, along with several lakes for your enjoyment. This rental boasts: 4 bedrooms, 3 baths, is a Single Family Home located Resort Home! Austin, Texas is in the Hill Country of the state, which means there is plenty of outdoor activities for you to enjoy. There are miles of trails for you to hike and bike ride on at Barton Creek Greenbelt, along with other areas. The wildlife is abundant in the Hill Country, which is located just outside the city limits. Observing wildlife in the Austin Region is popular among tourists or you can even enjoy a hunting adventure if you�re a hunter. There is a wide array of entertainment in Austin. The choices are endless from sports, clubs, live music and much more. Sixth Street is a popular place to find this type of entertainment. Sixth Street is the city�s main strip, featuring seven blocks of bars, clubs, along with Victorian Architecture. South of Sixth Street you will find an upscale warehouse district where you can be entertained with live music, as well as, nice restaurants and bars. If you�re in your college years, you will be in for a treat. The University of Texas is located in Austin and there are a lot of college students in the area, especially in the clubs and bars. Although there is a large selection of amazing restaurants and dining in Austin, Texas, the area is well known for its Tex-Mex and Barbeque. It will not be hard to find the hot spots when it comes to dinner time after a full day of activities. Austin, Texas provides a great selection of places to shop during your vacation. There are malls, specialty stores, souvenir stores and much more to find that perfect deal. You can find clothes, jewelry, home decorations and much more at great values! Festivals are extremely popular in Austin and you may have the honor of catching one during your vacation. One of the most popular festivals is during March, which is the South by Southwest Festival. This festival features music, films and much more, for your entertainment. The city is packed during this ten days in March, so book well in advanced. Austin, Texas is an ideal vacation destination to visit year round. It has approximately 300 days of sunshine annually, along with mild winters. It however does get rather warm during the dry summer months and the months of July & August can be uncomfortable at times. Austin has plenty of activities and attractions for you to enjoy, rather you are there during the winter or summer. It is great place to take the family on vacation or if you are looking for a getaway with your spouse. You can book your next dream vacation right now using ivacationonline.comonline vacation rental softwareat a great value. Booking direct by owner will provide you with many benefits, along with saving money. 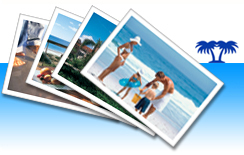 Start your search now for your next vacation and view the great selection of Vacation Rentals by Owner at ivacationonline.com.